The American mezzo-soprano Joyce DiDonato launched a new campaign asking her fans to crowdsource some parts of her upcoming ‘Best of’ ! A few days ago, I read on the Joyce DiDonato’s twitter account (@joycedidonato) a piece of news that made me very happy ! The American mezzo-soprano has launched a new campaign asking her fans to crowdsource some parts of her upcoming ‘Best of’ album ! So a worldwide-known opera Diva has been leveraging crowdsourcing to design her new upcoming album !!! 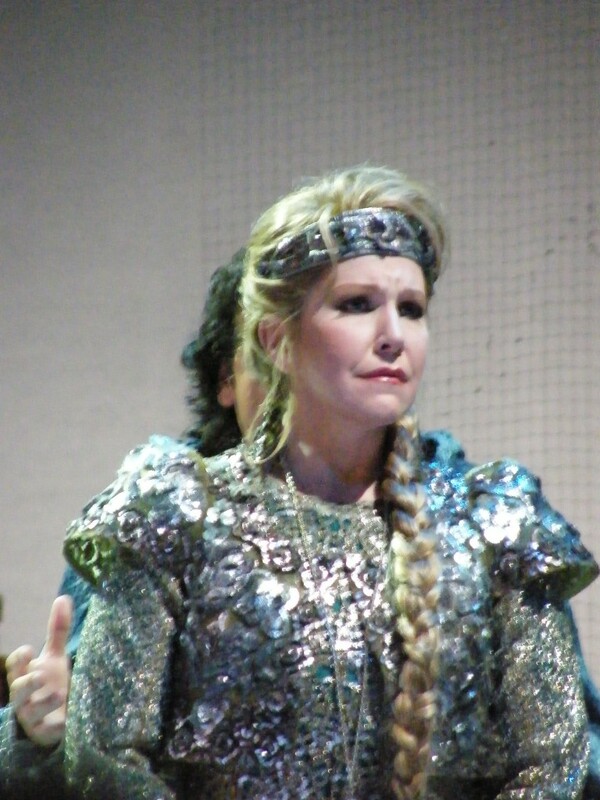 Joyce DiDonato is born on 13 February 1969. She is an American operatic lyric-coloratura mezzo-soprano. Particularly admired for her interpretations of the masterpieces of Haendel, Mozart & Rossini, she has been performing with many of the world’s leading opera companies and orchestras (Wiener Staatsoper, Royal Opera House, Opera de Paris, Metropolitan Opera, etc…). She won in 2012 a Grammy Award for Best Classical Vocal Solo. She has already recorded more than 14 CDs and performed more than 30 different roles on stage of which several world premieres. I had the luck to see her several times in Paris. She was Romeo in Bellini’s I Capuleti ed i Montecchi (with Anna Netrebko as Giuletta in Bastille Opera). I remembered also her Elena with Diego Florez in a rarity of Pesaro’s Maestro, la Donna Del Lago in the Opera Garnier (she currently sings the role in May 2013 in the Royal Opera House) ! Here is some pictures of his incredible performance in Opera Garnier 3 years ago. Sure I will be sending them to the Diva for #JoyceAndMe !!! #JoyceAndMe : a unusual crowdsourcing campaign ! The #JoyceAndMe crowdsourcing campaign launches on May 15th. It will last until 1 July 2013, giving fans an opportunity to help the diva to find the album title, to determine the musical contents and to write some parts of the booklet notes. As far as I know, it is a world premiere to see so famous a diva using crowdsourcing for creating a best-if Album ! 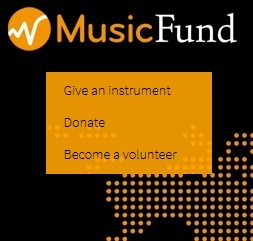 This crowdsourcing campaign uses major social networks : Facebook, Twitter and YouTube and is rolled-out in 4 mains steps. First, fans will be invited to propose titles for the album title (15-21 May), then they will be asked to vote on their favorite titles (22-27 May). The third step will consist in choosing which ones of the numerous Diva’s recordings fans would like to see on the album (29 May – 4 June). Finally, fans will be invited to share pictures and stories about both concerts & recordings. Best pictures and stories will be included in the album liner notes (10-25 June). The campaign will end 1 July, when Joyce DiDonato will unveil to her fans the new album cover. Then the album will be released on 2 September 2013 to match with Joyce’s performance at the BBC Last Night of the Proms in London on 7 September and Joyce DiDonato’s 10 year anniversary of recordings with both EMI & Virgin Classics ! 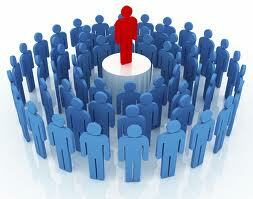 Why crowdsourcing is a really good idea ? First, since the very beginning of classical arts, singers and musicians have been exerting an incredible attraction on their audience (see Corbiau’s Farinelli film in which you can see all these frenzied women trying to touch the Divo). Classical musicians have always enjoyed a close relationship with their audience, one that is well understood in the traditional context of performance. And the nature of the relationship is changing and strengthening thanks to these new communication tools. Nowadays, with all these social networks and media, opera lovers and fans can be closer and closer to their favorite singers, You can follow Placido Domingo, Roberto Alagna, Anna Netrebko, Cecilia Bartoli, Aylin Perez, Desirée Rancatore or Joyce DiDonato and many others on Facebook or on Twitter. Opera stars do not hesitate to communicate or to stage themselves also on the social networks. Artists are pleased to see their fans sharing their pictures ! Recently I sent some pictures of the Romanian baritone-bass Sorin Coliban (@sorincoliban) whom I am always very pleased to listen to when I go to Vienna’s Staatsoper. After the incredible performance of RheinGold I have seen in Vienna in May, I sent him immediately some pictures of his bowing. Second, more pragmatically, opera and classical music need it. The Opera world is often regarded as elitist. Maybe, all these trends mean perhaps that mind will may be changing at a quicker pace in the world of classical music. It has become urgent because auditoriums and concert halls might become empty and classical music sales may plummet. Indeed, it has been acknowledged that opera or classical music listening tends to increase as people get older. Unfortunately, the so-called generations Y and Z, are said to show a strong decline in interest in the more sophisticated musical forms. Classical music and opera even have to live with the times and it has to rejuvenate to remain attractive to new generations. Some set-designers have blown a strong wind of modernism on repertoire’s masterpieces. Producers or classical music institutions have also understood that new and particularly digital technologies are above all an opportunity to seize. Music and video streamings are now widely widespread, opera and classical music experience can exist also in movies, in live screenings, using tablet or mobile applications. 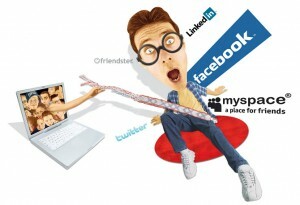 Like this new kinds of broadcast, social networks can be leveraged to appeal a younger audience. In all these new digital trends and tools, performers do have also to pave the roads and perhaps more importantly because they have a larger media coverage and they are the ones the public adores! Could attracting a wider participation in classical music from a broader & younger online audience and use social networks be the key to preserving the operatic genre? I say yes definitely. Using of crowdsourcing by a great artist such as Joyce DiDonato reveals a true understanding of the expectations of the younger audience. It offers an enhanced experience of vocal music by putting some of the values of the new generations at the heart of the arts (ability to share, attraction for images, reduced power-distance, community-building, etc…) . In opera-digital.com, we have been benchmarking that the new strategies used mainly by North-American Opera Houses to attract a new public, increasing loyalty and enrich classical music experience. Let’s insert ourselves that the first major opera house to broadcast live performances in movies was the Metropolitan Opera. It is certainly not a simple coincidence if that initiative comes from one of the most acclaimed North-American lyrical artist ! As often, regarding digital economy, innovation comes from North America ! Bravissima anche per questo Signora DiDonato!! 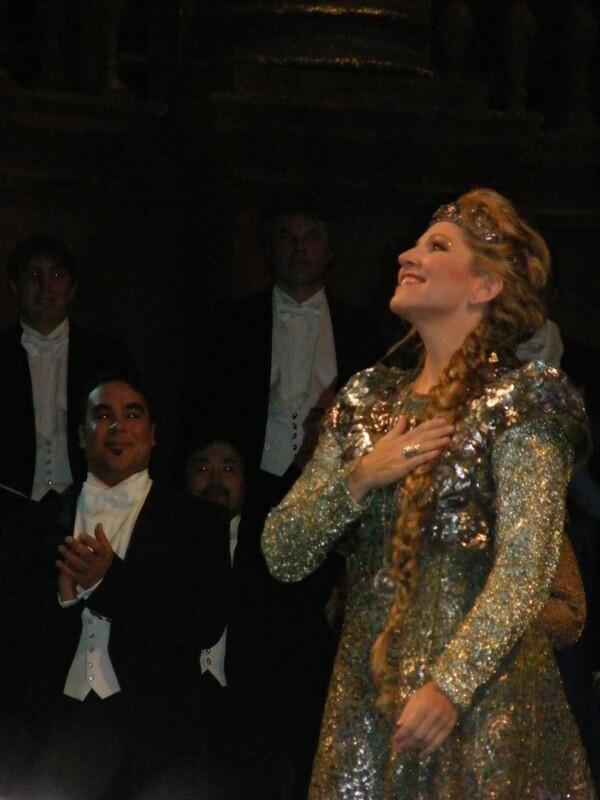 “Joyce DiDonato : a diva using crowdsourcing” by Ramzi SAIDANI in under terms and conditions of the licence Creative Commons Attribution 3.0 France. This entry was posted in Artists & Digital, digital & classical and tagged artist, crowdsourcing, diva, Joyce Di Donato, lyrical, Opera by Ramzi SAIDANI. Bookmark the permalink. Thanx ! 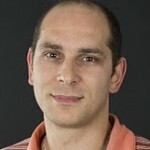 Interesting information and analysis !